Aphria Inc. (APHA.TO) shares plunged on Monday after the company announced a one-time non-cash charge on Latin American cannabis assets targeted by short-sellers, and reported a loss of $108.2 million in its third quarter. The $50-million charge weighed on the Leamington, Ont.-based cannabis producer bottom line. Aphria fell short of analyst expectations in its third quarter, calling for a loss of $0.05 per share on $83.5 million in revenue. The company booked net revenue of $73.6 million, up 240 per cent from prior quarter, and 617 per cent from the same period last year. Toronto-listed shares tumbled 14.32 per cent to $11.49 at 10:33 a.m. ET. 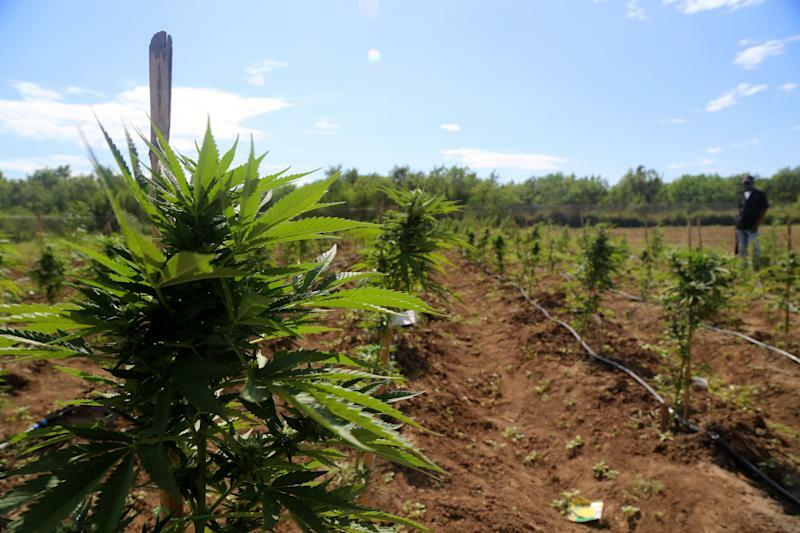 Aphria came under fire from short-sellers in early December over the price the company paid for its cannabis assets in Latin America. The attack saw the company’s shares decline more than 50 per cent before recovering. The company formed a special committee to review the transactions, deeming the price “acceptable,” while acknowledging certain unnamed directors had “conflicts” they failed to disclose. “The Ontario Securities Commission requested as part of a continuous disclosure review that the Company perform an impairment test on its LATAM assets subsequent to the filing of the 2019 second quarter financial statements . . . the company determined that a $50 million non-cash impairment charge was required,” the company stated in a release. Selling, general and administrative costs in the quarter rose to $106.6 million, from $27.5 million in the prior quarter, and $16.9 million in the prior year. Aphria brought in $17.9 million in revenue from cannabis produced in its third quarter. The company said it sold 2,636.5 kilogram or kilogram equivalents in the period ending Feb. 28, versus 3,409 kilograms in the previous quarter. “The decrease in cannabis revenue and kilograms sold compared to the prior quarter was primarily related to supply shortages as the company transitioned growing methods during the late fall and early winter, as well as temporary packaging and distribution challenges,” the company stated. Aphria also announced the appointments of Whole Foods Market Inc. co-CEO Walter Robb and David Hopkinson, global head of partnerships for the Real Madrid football club, to its board of directors. In a separate release, Aprhia announced it has entered into a series of transactions that will accelerate the expiry date of the unsolicited offer by Green Growth Brands Inc. (GGB.CN) to April 25 from May 9. “We are bringing our offer to an end on good terms with Aphria and are excited to turn our focus to our CBD personal care and retail cannabis businesses,” said Green Growth CEO Peter Horvath in a release.